Maybe most of you have a habit of eating cereal in the morning as your breakfast. This habit has become common in many societies; it is because not only that the cereal is very easy to be prepared, it is also cost not much. Though the production is a lot, but many of the cereals are having a bad standard, the factories are rarely considering the health aspect and put much dangerous substance to cover the cost that it offers. But along with the development of technology, it is now possible to produce cereal with the high health standard while maintaining the value. One of the examples of it is the Ezekiel Cereal; it is a 100% flour-less sprouted grain cereal which contains a complete protein and nine essential amino acids. You will probably love this product, but isn’t better to know more before using it? So keep read on. Whether we think about a good morning breakfast, then you probably want energy boosting food which is good to start your day. Other people maybe also believe that breakfast is the way to open day with a healthy lifestyle. Ezekiel Cereal is grouped on both of this aspect, though the health issue is the real purpose of this product. Therefore, It contains nine essential amino acids along with all other nutrients like the carbohydrate and proteins. The impressive part is that Ezekial Cereal is just using the organic and natural ingredients. To describe it more, it includes whole wheat, malted barley, almonds, whole soybeans, spelt and many other organic ingredients. Its nutrition is also mostly about the daily need nutrients like calories, calories, carbohydrate and protein. The flavor is similar to the other cereal products, but with the grains as its main ingredients, the gluten of grain can be a problem. The effect of grains can be subtle and take a while to show up, which is why it is better not to consume grain product too often. One time in every morning might be the best choice for you, whereas you will get the nutrients that you need in the morning. But you don’t need to be terrified with this because it is rarely that the grain products are causing this problem if you can actually tolerate Ezekiel, then you can consume it as many as you like. The overall taste is not bad, but not that fantastic too. It is because grain product usually has less water content which is why it is harder to consume it. To sum it up, they also make it quite miserable to eat this product because it is not using the sweetener. The sweetener used in this product is the natural sweetener which is hardly making any difference in term of taste. Ezekiel Cereal brings so many positive contents for the users as it is using 100% natural ingredients, but you might find it hard to eat it because of the overall ingredients. So Ezekiel is commendable for you who loves healthy cereal with low cost, but you need to consider that this cereal is not tasty. 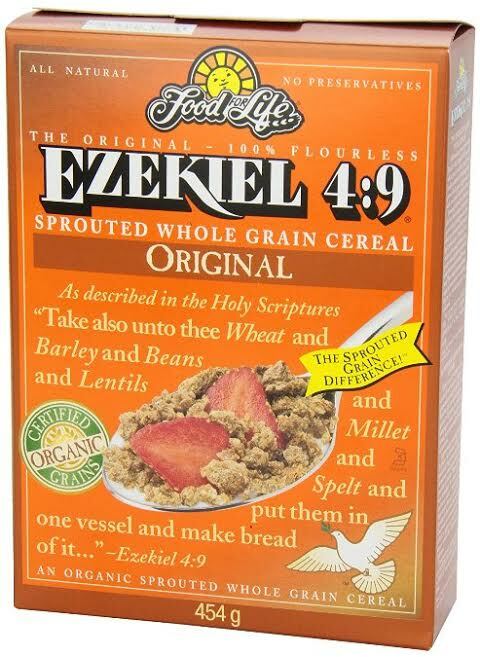 Check the best price for Ezekiel Cereal here!